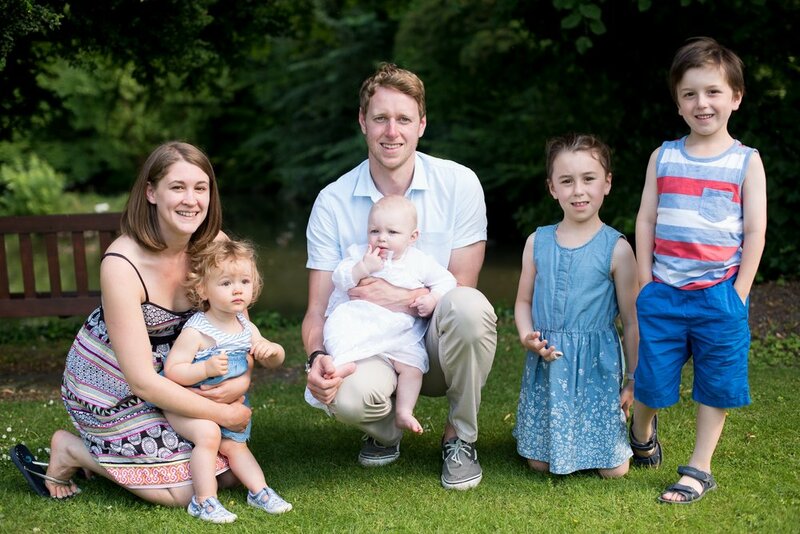 I met this lovely family at their house where they were having a family BBQ party before the christening. 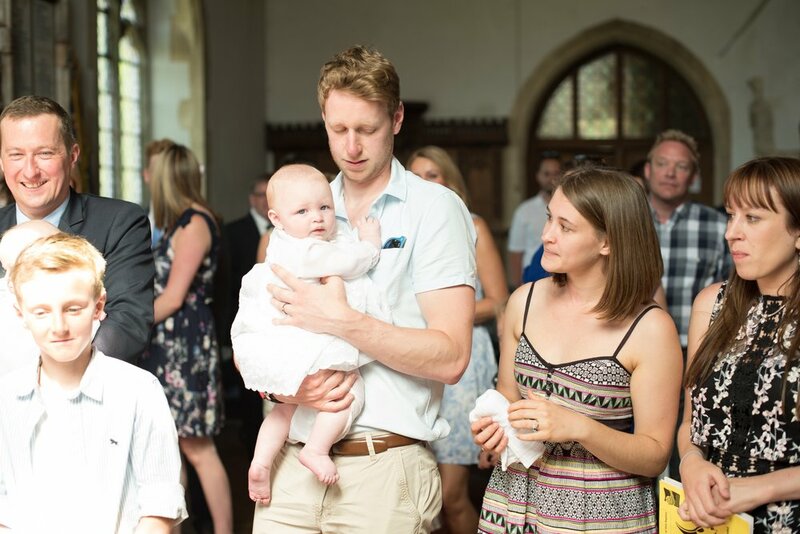 Their daughter Annabelle was asleep for most of it but fortunately woke up just before we went to the church! They had a lovely service at Holyrood Church in Alton, followed by some family photos. It was a beautifully hot summer's day! Perfect for their outdoor photos and walking to the church.